POXEPLATE® is a two-component, 100% Solids EPOXY, containing no solvents, formulated with dehydrated specially graded silica to form a workable matrix that is applied over a concrete or wood floor in thickness of 1/8" to 1/4" and trowelled to a smooth or slipproof surface. 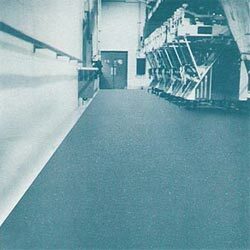 It can be used wherever the existing floor is in a worn and deteriorated condition resulting from heavy abrasive activity and/or chemical spillage. The surface of the new epoxy flooring can be finished to meet most requirements including either a very smooth surface or one which is completely slip-proof. The base to which POXEPLATE® is to be applied must be firm and dry. 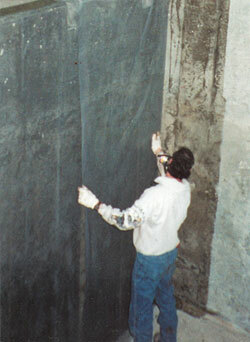 All concrete areas containing ruts, holes, and depressions can be grouted using POXEPLATE® EPOXY Grout. Wood floors that are loose and splintery must be repaired, and when repaired, covered with plywood prior to proceeding with the POXEPLATE® application. Concrete floors must be cleaned. All loose and deteriorated material must be removed and the entire floor prepared by scarification, shot-blasting, sanding, or grinding. 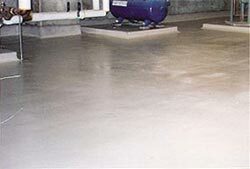 POXEPLATE® EPOXY Primer is applied to the prepared floor surface. POXEPLATE® EPOXY Flooring is then mixed and applied over the floor at a thickness range of 1/8" to 1/4" depending upon the anticipated activity in the area where the new flooring is to be installed. The surface is to be trowelled to a desired finish. 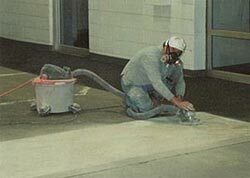 After POXEPLATE® EPOXY Flooring has set sufficiently, an application of POXEPLATE® EPOXY Coating may be applied to the surface in the manner necessary to provide the final finished texture by roller or trowel. POXEPLATE® has a clear, tan appearance called Natural. It is also available in 16 standard colors. Other colors are available as special order items. When a new topping is required for your floors, POXEPLATE® has no equal. The use of aircompressors and jack hammers commonly used for the replacement of concrete floors is totally eliminated. There is no need for excessive dirt, noise, or costly "down-time." A completely new floor surface consisting of several thousand square feet can be completed, cured, and returned to use either during regular working hours, weekends, nights, or other off hour periods. Most major installations can be, and usually are performed during weekends with complete installation and cure accomplished within this period. The floor area would be ready for full use on Monday morning. The cost of a POXEPLATE® EPOXY FLOOR is far less than most other types of floor installations and the qualities offered by epoxy flooring substantially exceed those offered by ordinary concrete. POXEPLATE® applied at the standard thickness has a much greater compressive strength than concrete and will withstand fork-lift activity, heavy-abrasion, and chemical spillage. When repairs are required they are made easily and inexpensively. Resistant to Solvents, Oils, Acids, Alkalies and Salts.